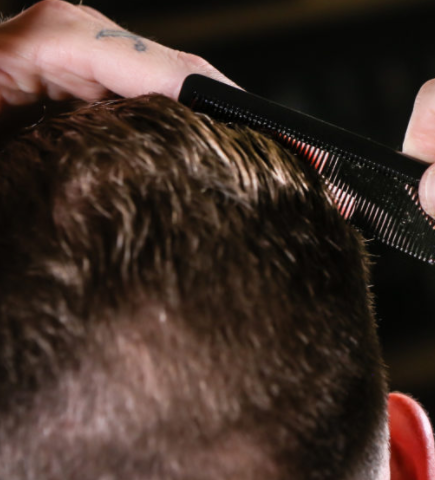 While this combing method should work for most men, there are some instances where it might not work that great. If that’s the case, then a little bit of trial and error will help you figure out the best way to comb your hair. Another thing to keep in mind is that you don’t want so much product in your hair that it’s practically dripping out and you don’t want such a small amount that it doesn’t hold your hair where you need it. This article is going to teach you how to properly comb your hair regardless of the pomade or comb type you are using. The first step to combing your hair properly has to do with how wet your hair is. Many men believe that their hair must be completely dry, but it should be damp. Make sure it isn’t completely dry or so wet that it’s still dripping. Your hair should be slightly damp and easy to work with. The next step is to put the pomade directly in your hair. In terms of how much to use, it’s going to differ from man to man. The best course of action is to start with a small amount and work your way up from there. Keep in mind, it’s much easier to add product to your hair than it is to get it out. Once you have the product in your hand, rub both hands together to get an equal coating. Try to make sure your hands have around the same amount on each. The third step is to put it in your hair. Some people like to start at the back while others like to start at the front. The best way to do this is to put it all over at once. This will help ensure that there is product everywhere and one spot doesn’t have more than another. You want to massage the product into your head as if you were using shampoo. Making the hair stick straight up will give good access to the roots. The last step the actual combing part. 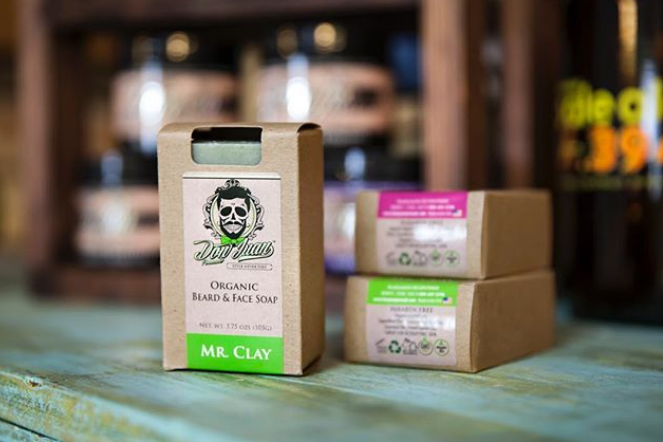 All this leading up to this point is to help make sure you have enough product in your hair. The combing part is the hardest part of the entire process. When getting ready to comb your hair, divide it at the point that is right above your temple. You don’t want to go much lower than that and you don’t want to part it directly in the middle of your head. Next, apply a little more of the pomade right in the crease. Make sure it’s worked in well. Once you do that, take your comb and do the sides of your head first. If you need a little more product, now is the time to add it. Once that’s done, start by pulling the comb through both sides of the part. Finally, take your comb and push your bangs back. Not only do you want to make sure you get all the tangles, but you also want to make sure everything looks uniform and in place. Keep in mind, it probably won’t look perfect the first time, so keep practicing on getting it perfect. The last thing you need to do is make sure you comb the back. You might need to add a little more pomade, but once you do comb through the hairs in the back. Once it’s nice and combed, go ahead and take your hands to smooth everything down. The back is important because, even though you won’t see it, other people will! As you can see, the method is pretty much straightforward. With everything, though, it might take a few tries to get it down perfect. 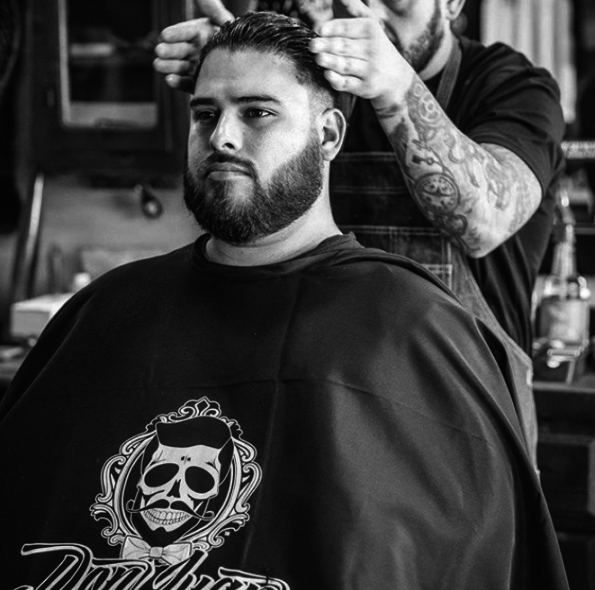 If you aren’t sure where to purchase high quality pomade, then Don Juan Pomade is a great choice. This method should work regardless of the type of pomade you are using. It also shouldn’t matter what type of comb you have. Remember, practice makes perfect!